In just a few short years, Tesla cars have changed the face of the automotive industry, proving that electric vehicles are an entirely viable mode of transportation and paving the way toward a future when cars powered by polluting fossil fuels may themselves become fossils. 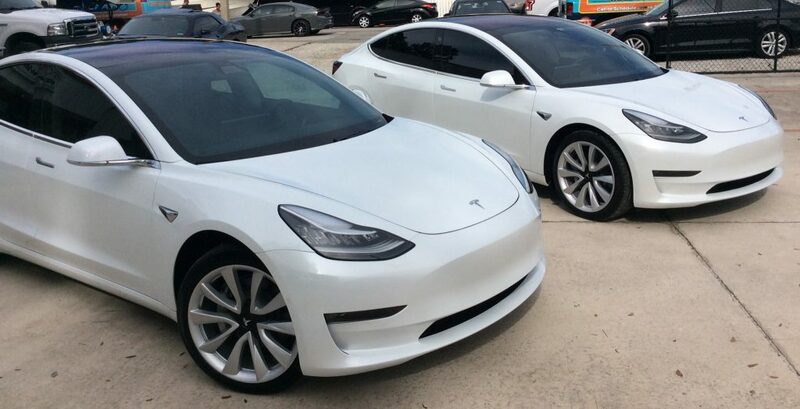 While each Tesla model the company has thus far released has unique features, one thing all Tesla cars have in common is an abundance of glass. The large windows, huge, sloping windshields, and on some models the all glass roofs contribute to the sleek, elegant look of the vehicles and afford drivers and passengers an amazing view of the road and the wider world around them. The problem with those windows, however, is that they let an abundance of sunshine fill the cabin of the Tesla. And while lots of sun such as we get here in Orlando is great for solar panels that may charge these electric cars, it’s not so good for the interior of the cars themselves. 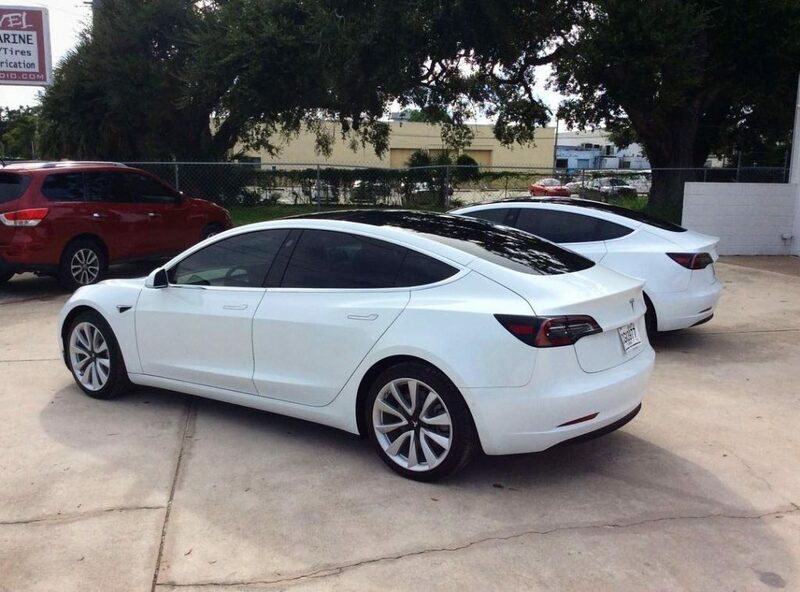 We offer encourage owners of a Tesla in Orlando to consider ceramic window tint for their cars. 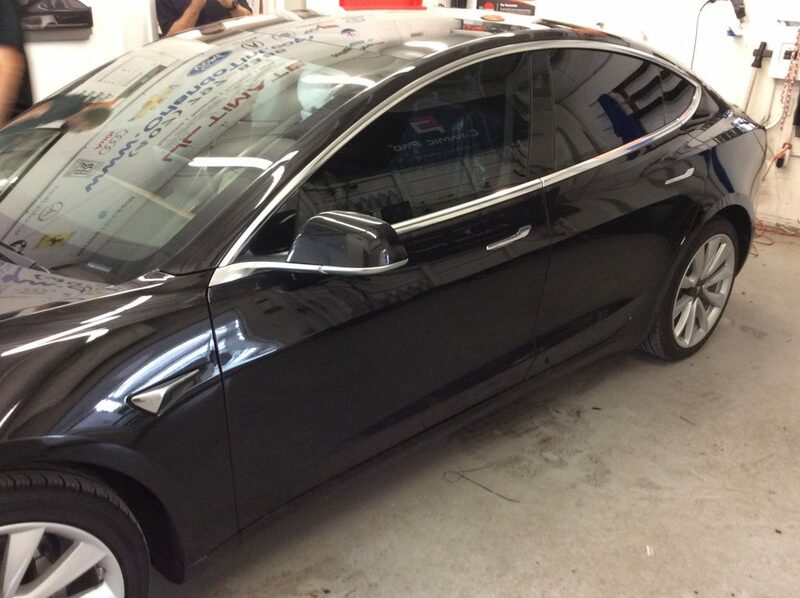 This durable, reliable window tint blocks UV light with an efficacy of up to 99% rejection, protecting the interior of the car against fading, discoloring, and cracking, all that glass in a Tesla notwithstanding. 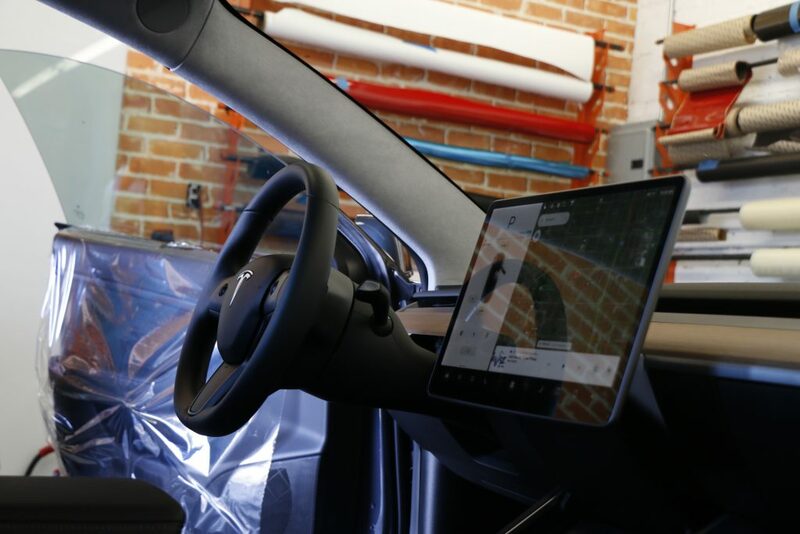 And by reducing the harsh glare of bright sunlight, window tint for Teslas also makes the driving safer and more pleasant and makes it easier to see the screens in the car. If you have a Tesla Model 3 with an all glass roof, then you owe it to yourself, your passengers, and to the interior of your car. Window tinting a Tesla Model 3 in Orlando greatly enhances the UV protection when compared to the factory tint alone, and it also allows you to add more privacy to your car. You can choose a dark tint that almost completely blocks the view into the vehicle or opt for a lighter tint and add just a bit of shading. The sleek, speedy Tesla Model S can hit 60 miles per hour in less than 2.5 seconds, but it can’t outrun the sunlight. Sunshine can cause intense interior heating inside a Tesla Model S, and Orlando certainly has plenty of Sunshine. If your Model S sits parked outside during the day, it will be so warm inside that you will hardly be able to stand it until the AC has had time to run, which drains lots of battery. Blocking much of the sun’s hot infrared light with window tint will make your overall experience with your Model S much more pleasant. The Tesla Model X is the perfect car for families: it offers plenty of seating and storage, it has great cargo capacity, and it’s a safe vehicle. 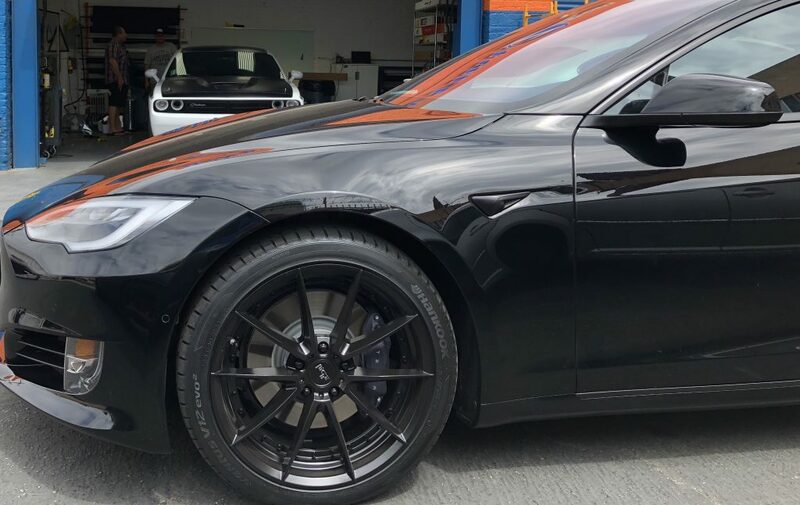 Make your Tesla Model X even safer in Orlando by adding window tint that blocks dangerous UV light and reduces interior warming. Window tint for cars also helps prevent the windows from shattering if they are broken during an accident or struck by a flying object. When the first Tesla Model Y cars hit the streets next year, we hope one of their first stops will be our shop! These gorgeous new midsize electric SUVs deserve the best protection they can get again UV damage, and their drivers deserve the creature comforts created by ceramic window tint.